I’ve really enjoyed studying at NTU there is a friendly atmosphere and the course staff genuinely want you to succeed in everything you do. “NTU is a top university, with the added advantage of having a close relationship with many of the top property organisations. This was a huge selling point to me when picking the university and was great when it came to securing a placement. The course has an excellent variety of modules which gives you a huge insight into different sectors of the property industry. “I can honestly say that all the course staff are great and incredibly helpful. I’ve really enjoyed studying at NTU there is a friendly atmosphere and the course staff genuinely want you to succeed in everything you do. In addition, the Employability team at NTU are amazing and were so supportive with upcoming interviews, arranging mock interviews and providing CV tips, which has given me great confidence when applying for jobs. “Our course provides outstanding field trips to places such as London, Sheffield, and Birmingham and includes an international field trip. I don’t know many courses which fund an international field trip to enhance our learning. On these trips we got to meet representatives from leading property firms, who are already in the industry, to discuss module related topics. “My industrial placement opportunity was within the Property Asset Management Team at McDonald’s Restaurants Ltd, Head Office. This team are responsible for all property activity for operational and non-operational properties. “My time spent at McDonald’s has been invaluable as it has allowed me to put my theory from university into practice. I developed an in depth understanding of leases, licences to alter and general property management issues which commonly arise within a business. This role has allowed me to develop skills which are essential for a career in the property industry. 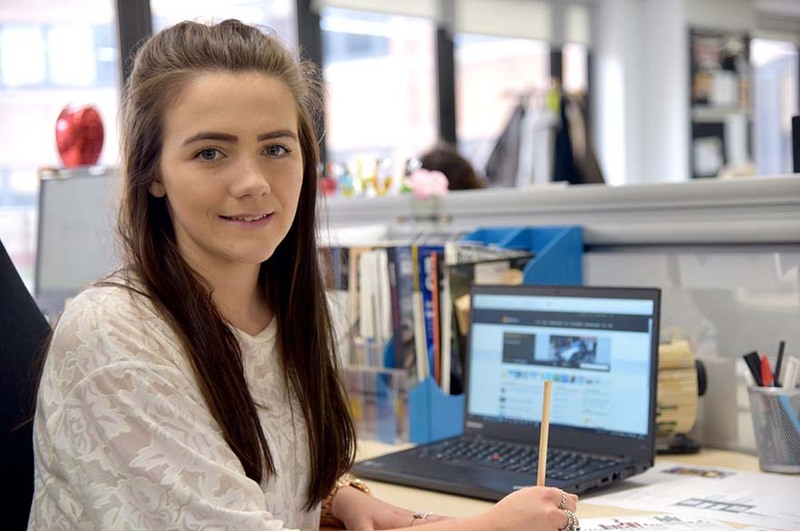 “I have learnt / developed skills which I wouldn’t have gained had I not opted for a placement year. I have first-hand experience of what it’s like to work within a multinational business and the daily running of an organisation’s property department. I have learnt so much during my year, which I believe puts me ahead in terms of employability, from those who have not worked in the industry."